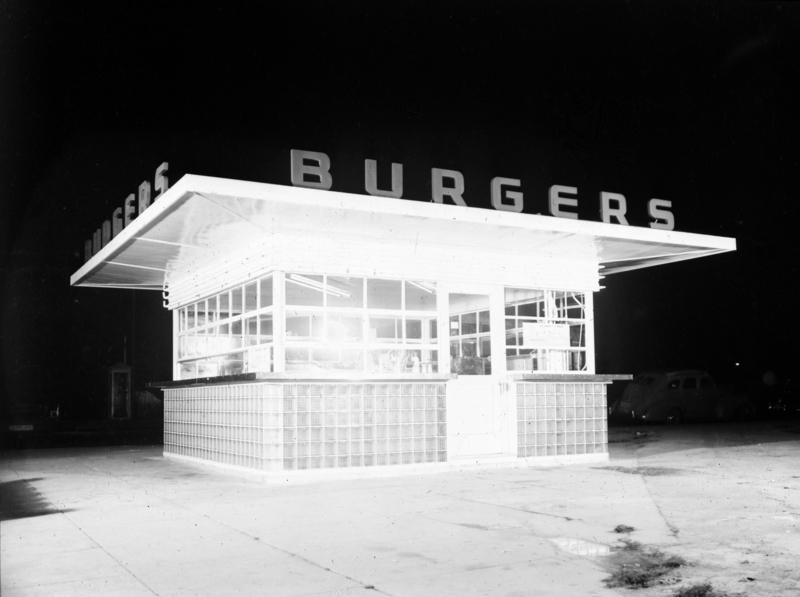 Here’s a new angle on the burger stand that once stood in front of the Bayside Land Company building at Main Street and Ocean Avenue. Ocean Avenue runs behind the stand in the darkness. This appears to be in the early days of the burger stand before the top was adorned with signs for Coca-Cola and Carnation ice cream. You can see this same building a few years later from the opposite angle in our earlier posts, Tramming It Up and Sleepy Afternoon on Main Street. The poster in the window to the right reads, “The Flavor You Favor,” but the rest of the poster is obscured by the intense lighting used to take this photo. What product was being advertised, I wonder? 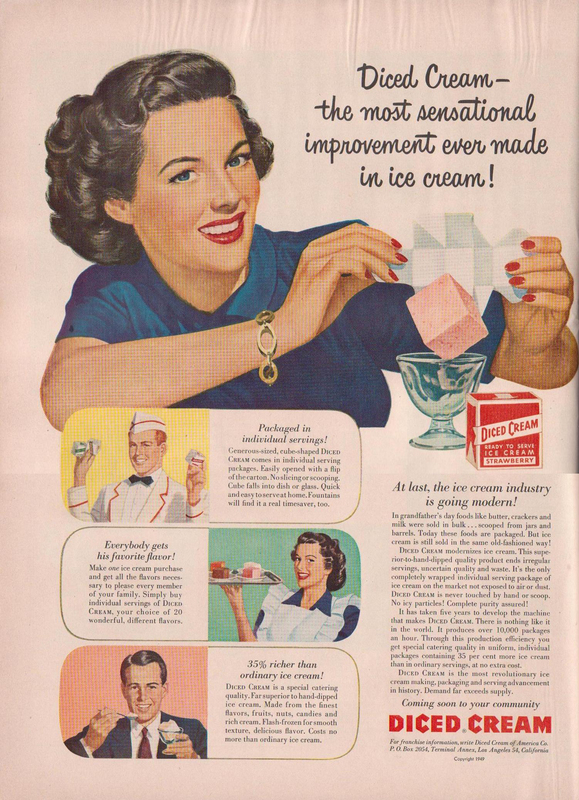 Diced Cream was an ice cream product introduced in 1947 by Arden Farms. Chunks of different flavors of ice cream were sold separately in small boxes the same way a pint of Ben and Jerry’s is sold today. 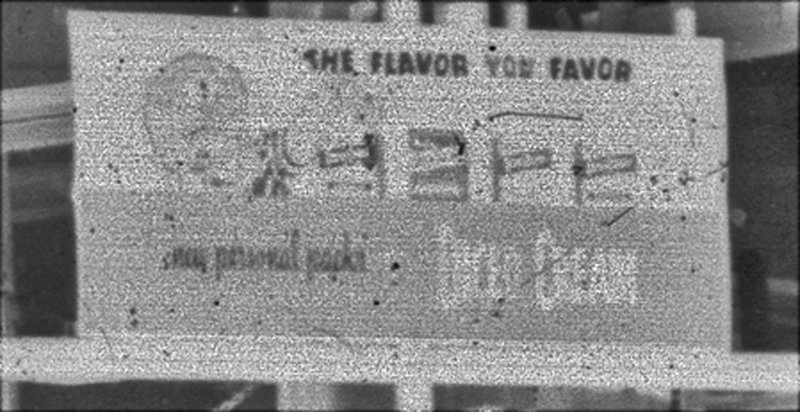 Diced Cream initially rolled out in a sales test in the Long Beach area in 1947 before being introduced to the entire Southern California market. According to the August 2nd, 1947 Billboard magazine the product sponsored “Hail To The Champ,” a local program on Long Beach radio station KGER. The poster in today’s photo was probably part of this initial sales test. Obviously, I have more important things to be doing. Otherwise I would not have allowed myself to be distracted by such a minor mystery. This entry was posted in Seal Beach History and tagged 1947, Main Street, Ocean Avenue, Seal Beach. Bookmark the permalink. Didn’t this burger stand belong to Art Lescher? My brother, Jack King, worked there one summer.